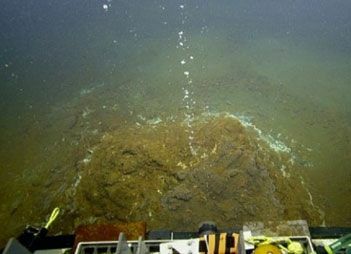 The alert level in relation to the Kick âem Jenny underwater volcano has been lowered to yellow. A release from the National Disaster Management Agency (NaDMA) in Grenada said that on Saturday, July 25 at around 5:50 p.m., a team including a vulcanologist from the SRC, Grenadaâs acting National Disaster coordinator, and a camera person, participated in a fly over of the Kick âem Jenny area by helicopter. The vulcanologist, Dr Frederic Dondin, who has conducted extensive research on Kick âem Jenny, concluded, after his observations, that there was absolutely nothing unusual in the area. The YELLOW alert level means that vessels should observe a 1.5 km exclusion zone. However, as a precautionary measure, the marine community is advised to continue observing the 5 km exclusion zone associated with the orange alert level, which came into effect last week after increased activity at the underwater volcano was observed. Kick âem Jenny is located at 12Â°. 18â N, 061Â°. 38â W or 8km (4.32 nautical miles) north of Grenada.